Gorgeous card Lea, I love the neutral colours and the blibg looks so pretty. I especially love the feathers and the gem cluster in the center of the ribbon flower...this is so beautiful, Lea! Love the owl theme with the feathers! Gorgeous cluster of flowers on this very creative beautiful card, love it! Happy New Year, hugs! Absolutely lovely, lea. SO fun and creative. Thanks for sharing this with us in this week's Something New challenge. If you are able, feel free to stop by Word Art Wednesday this week as well. We have some amazing prizes including Vintage Street Market, and would LOVE to have you join us. Hope you're having a blessed day. It's always a treat to see your darling creations, and this one is just SO lovely! This is just gorgeous ! Your monochromatic touch sets such a lovely flavor. Thanks for playing along with us this week at The Kraft Journal !! 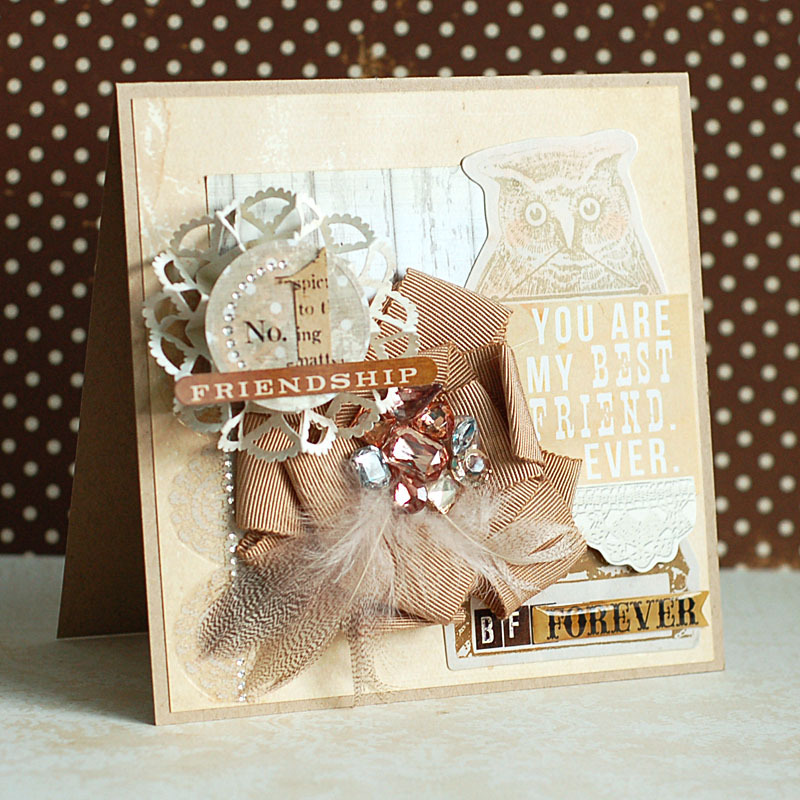 Such a wonderful card and I love the feathers you used that look like owl feathers. So clever. Thanks for playing at Pile It on in December and Congrats on making it in the top three.